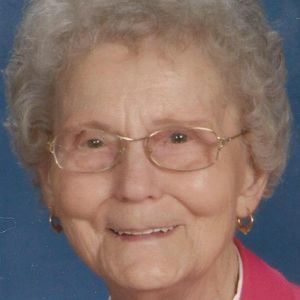 CENTRAL CITY- Mary Frances Drake, age 88, passed away on March 11, 2016, at the Muhlenberg Community Hospital. She was born in Central City on May 21, 1927. She has been a member of Woodson Baptist Church since the 1960's. She was a loving homemaker and devoted worker in her church. She is survived by her husband George Drake of 70 years from Central City, her children Helen Henry (David) of Central City, Wanda Thompson (Billy) also of Central City, Wayne Drake (Karen) of Bremen, Letty Jones of Florida, and her sister Jean Griffen (David) of Indiana. She is also survived by grandchildren Pam Adler (Shane), Lisa Thompson (John), Rhonda Abbott (Tim), Mark Thompson (Missy), Johnathan Drake (Heather), Melanie Case (Jason), Riza Jones, Gregg Henry (Lisa), and Beth Pate (Bob). Other survivors include 19 great-grandchildren, 4 great-great-grandchildren, and many nieces and nephews. Mrs. Drake was preceded in death by her sister Joan White, brothers Bill Gilbert and Jimmy Gregory, great grandson Jason Lacy, and sons-in-law Jerry Mencer and Dale Jones. 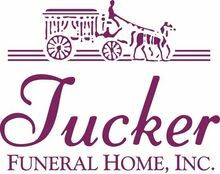 Services will be held at the Tucker Funeral Home in Central City, KY with visitation Monday, March 14th from 5:00-9:00. The funeral service will be Tuesday, March 15th, at 1:00, with Bro. Curtis McGehee and Bro. Nick Duvall officiating. Burial will be in Rose Hill Cemetary. The beautiful and interactive Eternal Tribute tells Mary 's life story the way it deserves to be told in words, pictures and video. Helen, Sorry for you and your entire family, for the loss of your mother. God bless you all during your grief. Will miss you Aunt Mary. But I know you are happy and in a far better place. I love you and will look forward to seeing you again one day. You were always so sweet and kind. And your wit and humor. You will truly be missed. Love you! No one can say a bad thing about Aunt Mary. She was good to everyone that passed her way. The stories about her and my Uncle George just reaffirm all the good that they have inspired in all of us that have come in contact with her. Se wiill be greatly missed, but now she is at home with our Lord. We are so sorry for the loss of your precious Mary. I know we will all miss her. She is the most godly woman we have ever known. We can truly say that we never heard her say anything but good about other people and, on the other hand, we never heard anyone say anything bad about her. Her Christian life has been a great influence on many people. We loved her very much. What a precious woman of God. There is nothing bad anyone can say about her. See was the perfect example of what a wife, mother, grandmother, aunt, Christian should be. Blessed to have had her as my aunt. She is resting in peace now.